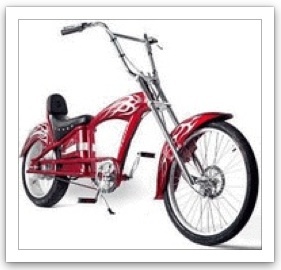 An electric chopper is based on the Harley-Davidson design. It's usually defined as a bike with relatively low and comfortable saddle, extended fork, chrome handlebars (Harley's style), etc. This kind of bike has a very high cool factor. 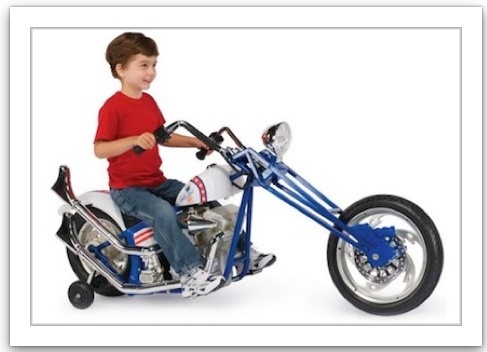 It is a sure thing that you will be noticed if you ride on such a bike. A motorized chopper usually has it's battery sealed and protected in a box under the saddle. Design and look is very important when talking about choppers so there is no compromise about the battery and the other electric stuff also. Because of the Harley's style handlebars, taking a tight corners may be somewhat tricky. In general, maneuvering with this kind of bike is harder in comparison with a regular bike. 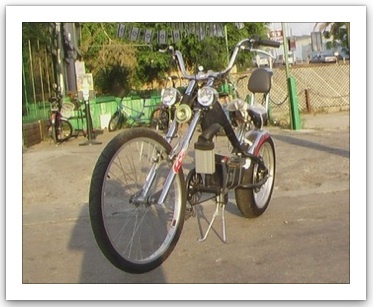 An electric bicycle type chopper is the very skinny version of the electric motorcycle chopper. But, it's not as light as other electric bicycles. 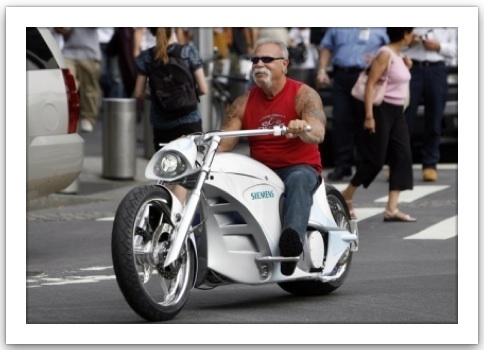 On average, an electric bicycle chopper weigh about 40kg. Pedaling on such a heavy bicycle is pretty hard. 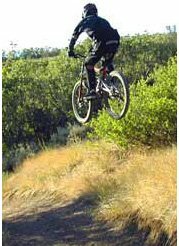 Going uphills is close to impossible and even on the flat it is not so easy. The handlebar position and the long frame is not helping here either.